Well I think I might have under estimated the numbers of beers I needed to drink before I could fly to the UK, but here we are at the final 21. Maybe it is a good thing I don’t drink on the Friday before I leave anyway. I’ll do my best to stick to the number, just for old sake’s sake. In case anyone is wondering I’ve been in the USA for so many years now that when I talk about “Beers to Go” I’m primarily referring to 12oz bottles of beer. 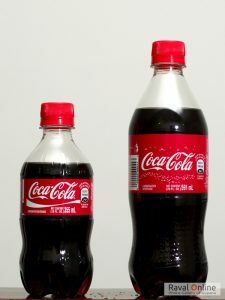 Although the nearby coke bottles help picture the difference, the best way I can think of it is this: in the UK it is not unheard of to drink 3 pints on a Friday lunchtime. 3 Imperial pints is 60oz, which is equivalent to 5 bottles of beer. In America they call 5 bottles of beer in a session (wait for it): “Binge Drinking”. I touched on this hot topic here. It still amazes me. I’m expecting to do quite a lot of “Binge Drinking” in the UK when I visit next month. Rave on the Binge.